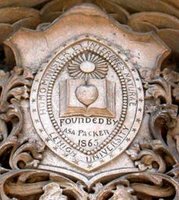 When Asa Packer founded Lehigh University at the end of the Civil War (in 1865), he wished to provide a well-rounded education for young men that combined a liberal and scientific education with the necessary technical skills to increase the prosperity of the region. 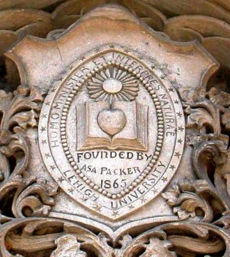 Until a recession in the 1890's diminished the value of the Lehigh Valley Railroad stock, Packer's endowment allowed the institution to offer its education free of charge by competitive exam. This, plus its blend of engineering and liberal arts, attracted some of the nation's brightest students, many of whom went on to distinguished careers in industry and engineering. Unlike other engineering schools of the day, Lehigh was never envisioned to be an "Institute of Technology" but always a University, combining both scientific and classical education for its students. Initially there were five schools; four scientific (civil engineering, mechanical engineering, mining and metallurgy, and analytical chemistry) and one of general literature. Over time, additional areas of the arts and sciences were added and engineering curriculums were both merged and expanded. Lehigh’s well respected School of Education started as (and remains) a graduate only level program. This is based on the principle that you need to learn primary subject matter well before you can learn how to teach it to others.